So, I hadn’t run a 5K since early May, which was still relatively early in my running “career” … or at least in the sense that my mileage has dramatically increased since then. I was looking forward to this one, then, because it was pretty much a certain PR, in what was expected to be ideal conditions for a 5K. There were probably in the neighborhood of 800 runners total at the race, which includes the folks that ran the 10K. It was, as expected, a beautiful morning, with a start/finish area near a stream underneath a huge, arching bridge … just a nice way to start a fall morning. Temps were a bit warmer than I would have thought – probably upper 50s / lower 60s, but once the sun came up the day warmed up well into the 70s. Thanks for coming, national anthem, 3-2-1, gun. Lots of walkers, and there hadn’t been any discussion for them about lining up at the back and staying to the right, so the start was a bit of chaos. About the time that lined out we headed uphill for our only real climb, and then looped back around near the start line. At about a mile and a quarter, we went off onto a crushed gravel trail, and I was quite happy at the 5K / 10K split to be making the turn back to the start. Not that I didn’t feel good, just that I was running at a pace that was quite unsustainable for much more than the 5K. I wound up on a bit of an island for the last mile or so – nobody really in contact behind me, and the people in front of me quite aways up there. I almost reeled one of them in, but just ran out of course. So the goal had been to try and really push throughout the race, and that’s what happened. I deliberately haven’t been listing my actual times on these reports, but this time it is relevant to the story – I finished in almost exactly 31 minutes (official results not yet posted – this is my Forerunner), which knocked 6 full minutes (six! )(count ‘em!) off of my previous PR. My stated goal was what I felt to be an almost inevitable 35 minutes, with my “outside chance” goal of 33 minutes being my real hope. 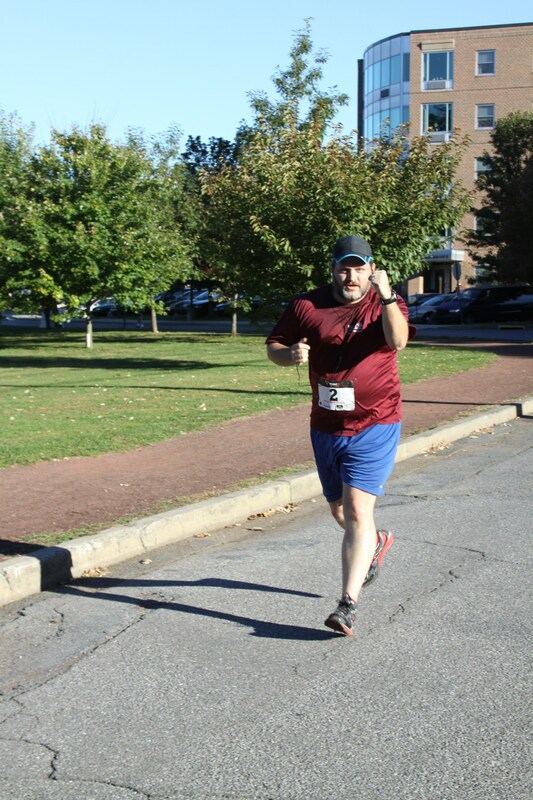 At around mile 2 I knew I was going to be able to get to that, and the question was whether I’d have enough of a kick to push 30 minutes – the holy grail of fat guy 5K goals. Didn’t quite get there, but I am very happy with this race. – I registered for this one back in January, as part of my “register for the whole season at once” strategy for making sure I’d be prepared for the Ragnar. As a result, I was bib #2. More than one person noticed. 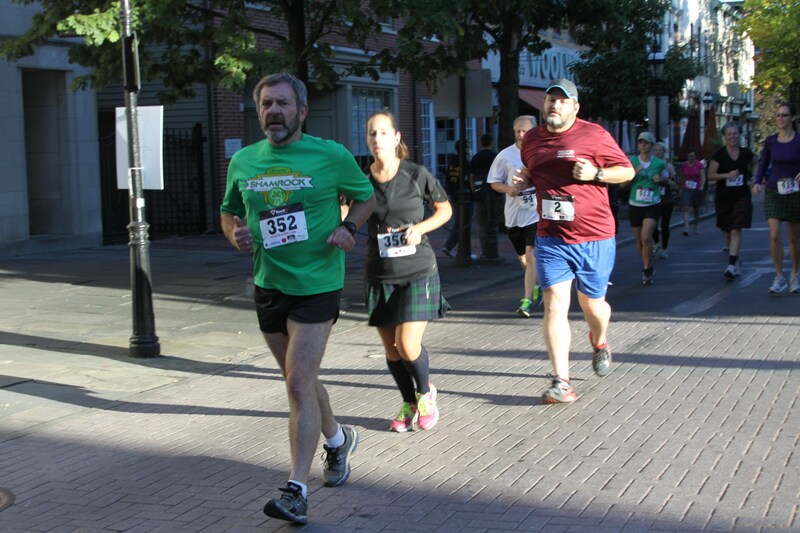 – Also, I didn’t realize that this race was part of a bigger event – the Celtic Classic is one of the largest Celtic heritage festivals in the country. The national championship Highland Games were there (and watching those guys throw the hammers was amazing), and we got to watch the parade with all of the pipe bands. My two-year old was completely enthralled. By the end of the day my legs were screaming at me, but it was an awfully good day. – Met an interesting guy while we were waiting for the start – he lives fairly close to me, and is on his third time running through the country. He’d already done a marathon and a half-marathon in all 50 states, and was working his way through again running 10Ks – this was Pennsylvania. Fascinating guy to talk with – he’d started running in the 80s as a coping mechanism when he quit smoking, and it just never stopped. – As happy as I was with my time, it didn’t take long to get humbled. 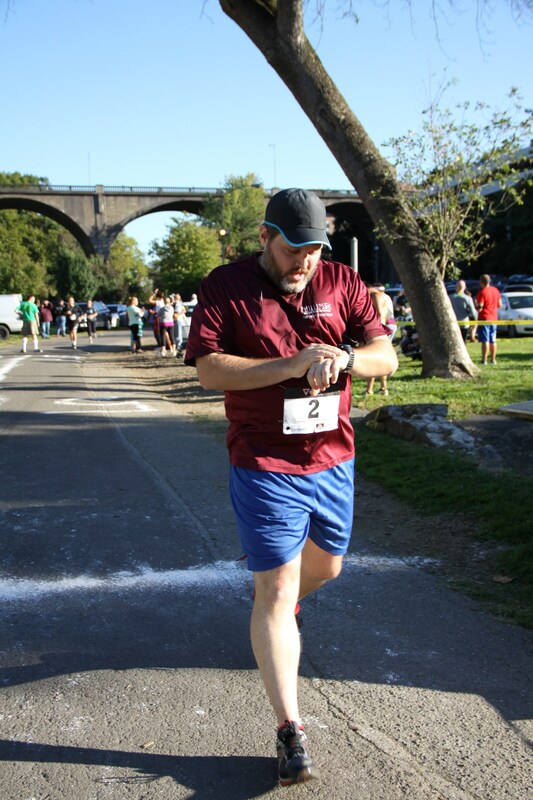 I went and got my water and cookie, and just about the time I got back to cheer for more finishers … the 10K winners came through. Like 5 or 6 minutes behind me. They did 100% more distance in less than 20% more time. Yikes – I gotta keep working. 30 minute 5K or bust. – Interesting swag – cotton shirt with the same logo this race has had for several years, the standard local coupons, pens, candy, used deck of playing cards from the local casino, and a light bulb (?). – I’d already had September covered for the monthly streak, so I’m still at 7. I am officially registered for races in each month between now and March, and I’ve already got April and May picked out – so unless something happens, it’ll get to 15. As always, nobody is threatened by this at all.